At our last Communion service we were very pleased to have Rev Iver Martin, Principal of Edinburgh Theological Seminary preach for us. 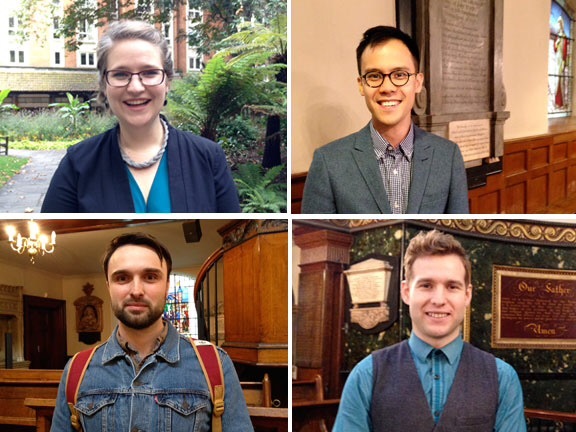 We were also delighted to welcome some new members to the London City Presbyterian Church family. Lientjie is an acturial analyst and comes from South Africa. Daniel (from Singapore) lives and works in the City. Lee is from Sheffield in the North of England and is a teaching assistant. Matt (from New Zealand) is a motion graphic designer. We thank God for these new members and pray that they will grow spiritually as they worship and serve at LCPC.